Our team of instructors bring to the table win-win strategies to ensure peak fitness and mastery of martial arts and kickboxing for all ages and experience levels. Natasha is, without a doubt, Scotland’s most decorated kickboxing athlete. She has achieved titles that no male or female has gained in British history. Natasha has been training in Martial Arts since the age of eight; originally starting in Kung Fu under the tuition of the late Steve Cattenach at The Temple Institute Of Martial Arts, in Perth, Scotland. She later then took up Kickboxing under the guidance of Temple Head coach and (then) WAKO and WKA Scotland President, Robert Smith. To date Natasha has obtained her 3rd Degree Black Belt in Kickboxing and a 1st Degree Black Sash in Kung Fu. Natasha has won many great honours within her Martial Arts career representing both Scotland and Great Britain on many occasions and is known as of the best female fighters in the world. 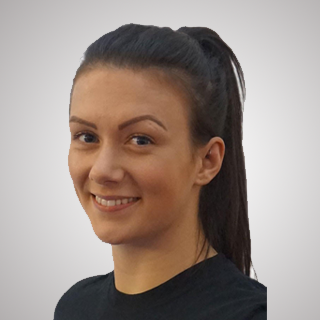 Natasha is based in Edinburgh and trains, as well as teaches, at Wolfpack Martial Arts’ full-time venue. Very much in demand, Natasha teaches seminars around the world alongside being the Head Coach for the Wolfpack Babies Fight Team. In 2015/16 we witnessed Natasha become WAKO World Champion in both point fighting and light contact, a combination never achieved at adult level by any other male or female British athlete. Not long after, Natasha then topped up this success by winning a WAKO PRO World Title in Italy, a true inspiration to everyone. Kevin started training in Martial Arts at the age of 18, making history by becoming the first student to move straight onto the Advanced programme of the Great British Martial Arts Academy without any prior training. After spending only 3 months on this programme, he made the decision to become a full time trainee instructor. After a year of working in the GBMAA Cobham branch, Kevin became the Chief Instructor for four years. Since those early days, Kevin has gone on to earn his 3rd Degree Black Belt in Kickboxing and Sport Karate. Kevin trained directly with MMA superstar Michael “MVP” Page and spent all his kickboxing career travelling along side him, picking up invaluable experience along the way. In 2009, Kevin moved to Scotland and is now based full time in Edinburgh which he now calls home. He can be found at Wolfpack Martial Arts’ full-time facility teaching most evenings. Kevin has gone onto teaching seminars around the world alongside some true martial art greats like Raymond Daniels, Tomaz Barada, Timmy Sarantoudis and Dennis Siver to name but a few. 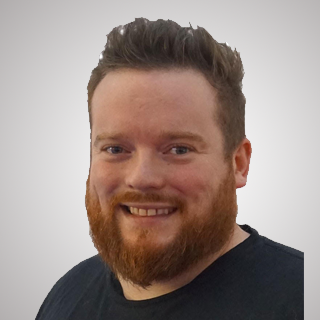 After representing both England and Scotland at world level, Kevin has established himself as Scotland’s Point Fighting specialist coach and his coaching versatility is evident from the success of his students. Kevin is also proud to be part of the coaching faculty of WAKO Great Britain.